The idea of contributing to improve the lives of the impoverished and the needy has existed since time immemorial. From companies to individuals, people from all walks of life are known to contribute money for a better future for all. 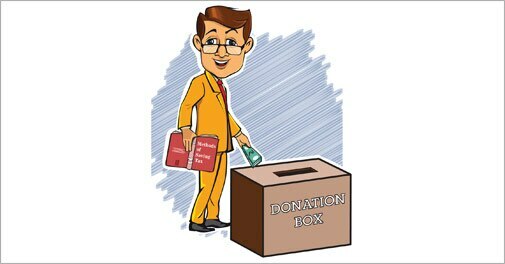 To encourage people to donate for good causes, the Income Tax Department allows one to claim exemption under Section 80G on the amount donated to charities and NGOs. The concept of donating, whether religious or otherwise, has also been well-documented by international players. "Until the 19th century, giving in India was largely religious in nature and motivated by the search for individual salvation. Later, philanthropy began to be also directed toward social causes such as education and women's rights. Throughout the 20th century, leading Indian industrialists established foundations and other charitable institutions of national importance." Given the size of corporate donations, companies also take steps to ensure that the money is utilised in the best possible way. Hence, it is common for a number of companies to set up their own foundations or charity wings. Pravesh Jain, founder, Paras Foundation and MD, Paras Dyes and Chemicals, says, "To best utilise our resources, we created our own charity wing, The Paras Foundation." Jain, who has been running an old age home for over three decades, talks about the benefits of establishing own foundation. "It is easy to monitor and evaluate. Though we usually do not donate to other charities, there have been times when we have done so after evaluating the organisation's track record, ethics and dedication," he adds. 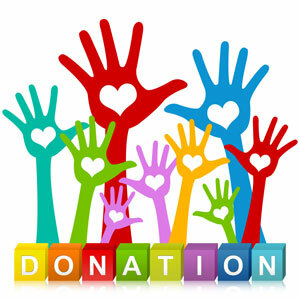 Rohit Shah, CEO, GettingYouRich, says, "When clients donate, they often have no way to monitor the use of their money." He points out that organisations like www.giveindia.org provide regular updates. For example, if someone opts to pay the education fee of a girl, the NGO sends him regular progress reports. Not everyone, however, has the resources or the inclination to set up his own foundation. Hence, most people donate to NGOs. The interesting aspect is that although such donations are eligible for tax benefits, many people are not aware of the same. Consider the example of Samir Rahman, an IT consultant from Bangalore who contributes to charities. "I donate to religious groups and NGOs which work in the area of supporting children but I don't look into the tax benefit angle of the same," he says. But for most people, the lack of knowledge is often cited as the reason for not claiming the benefits, and there are valid reasons for that. 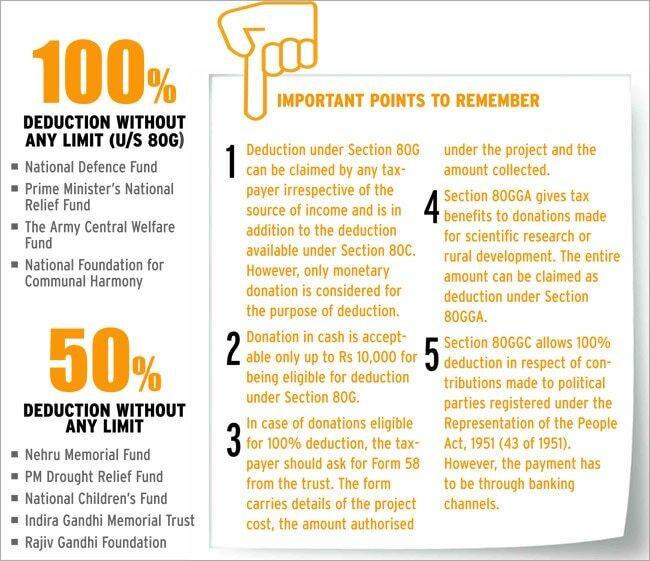 The Form 16 given to salaried individuals doesn't mention any deductions on donations made under Section 80G. This means the salaried are denied the tax benefits at the TDS (tax deducted at source) stage. In such a case, they have to furnish details of donations made while filing the tax return and claim a refund.